That’s a lot of good sniffs to pack into one 14 ounce jar. I didn’t know if my nose was up to the task of distinguishing each individual scent note in Kindred Spirit, but the overall effect had my senses dancing. 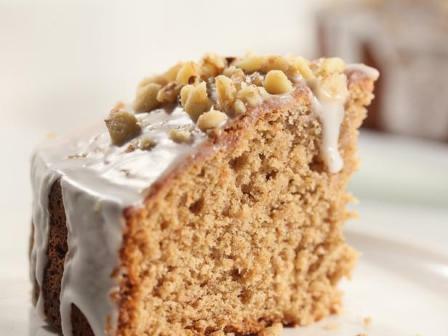 I smelled a delicious, sweet spice cake, which encompasses what the website described. Just so you know, I happen to love spice cake scents and I have a particular fondness for gingerbread or gingersnaps, so this candle easily hit high marks for matching my preferences. I started this candle in a medium sized room. Once the candle reached a full melt pool, the whole room filled with the scent of delicious baked cake, sugar, nutmeg and cinnamon. Over the course of a few days, I moved this candle around my home from bedroom to kitchen to open living space just to see how it would do. Every room I tried Kindred Spirit in filled with fragrance. The overall aroma smelled super sweet and heavy on the nutmeg. The scent throw (strength) was between a medium and strong (depending on the room size.) That’s pretty darn good for a 14oz mason jar. My candle burned clean and strong. There was always a good flame on my wick, regardless of trimming. The candle burned cool and clean with no soot. 1803 Candles recommended trimming the wick to ¼ inch before each lighting and burning for no more than 3-4 hours per session. The wide mouth opening on this jar gave the wax melting pool lots of surface area for giving off that fantastic scent. What a fun scent this was to test out and a great start to a long and happy relationship with a new to me company. My house smelled like a delicious bakery. It smelled so good in fact, I’m actually surprised that I didn’t have neighbors knocking on my door looking for a sweet treat. Ha! 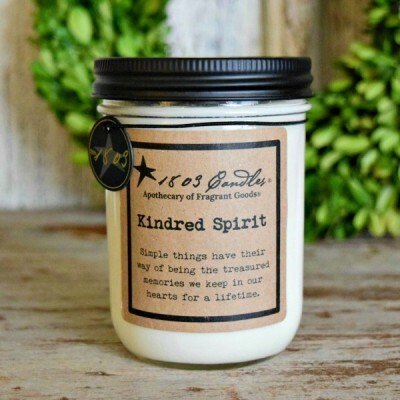 I truly enjoyed Kindred Spirit and have already recommended 1803 Candles to friends. Definitely check them out if you haven’t already. Their website is adorable with a home style country feel and their fragrances are abundant with plenty to choose from. What more can a candle lover ask for? I have two more scents to review from 1803 Candles so stay tuned. They are the only candles I but! I wouldnt buy any other candle!! !